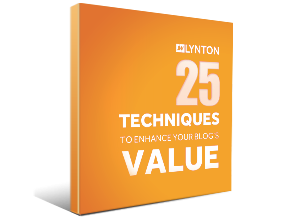 Thank you for requesting our guide, 25 Techniques to Enhance Your Blog's Value. Blogs were cited by marketers as the least expensive source of leads. Blogs are 63% more likely to influence a buying decision than a magazine. Click here to download your free guide today! Have a question about this resource? Get in touch.